This is the legacy version of the DJ Player Pro app. PRO DJ SOFTWARE FOR MOBILE. There are many DJ apps available. DJ Player stands out for its focus on usability, pro features, performance and stability. DJ Player is the world's most flexible DJ app. Use it standalone, or in any combination of the touchscreen, external mixers, MIDI controllers and sound cards. DJ Player outperforms all the expensive, shiny gear you see at music festivals. It provides desktop-grade performance on your iPhone, iPad or iPod touch. No virtual on-screen hardware, no toy-like turntables. Everything just where you need it and nothing that won't work in a club. 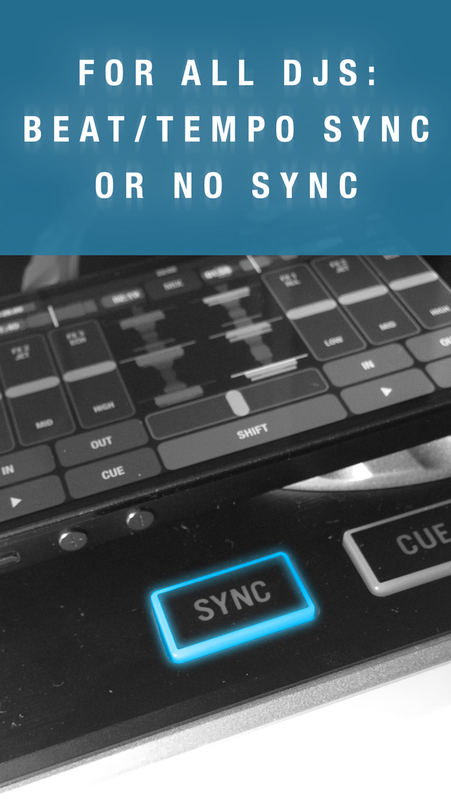 Manual beat-matching, tempo sync and beat sync are supported, the entire spectrum is available. Purist DJs can even hide the bpm value. Pitch bend is available in all modes. Unlike every other mobile DJ app, displaying, sorting, searching and filtering happens within a fraction of a second, regardless of the size of your music library. "… the most legitimate consideration available for using an iPad (or iPads) to DJ instead of a laptop." "…the iOS power user’s DJ software of choice…"
"If Algoriddim’s DJay is the Serato of iOS DJing, then DJ player is definitely the Traktor." "DJ player has just raised the bar considerably, as well as the expectations of the masses following this amazing progress." "… this is exciting stuff." "DJ player truly is the “premium” DJ app that it claims to be, and I highly recommend it to those looking for a professional grade DJ app." DJ Player has a complete implementation of the common deck, effect and mixer functions. It's a fully featured DJ booth. - Fixed VU meter bug. - Switch to Pro message on crossfader is active only when there is no playback. myTuner Radio ラジオ日本 - 日本の最高のラジ..